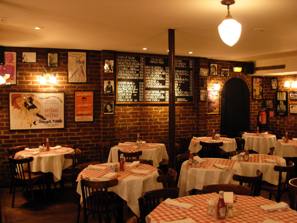 [restaurant – Paris 1er ] An American touch in Paris! 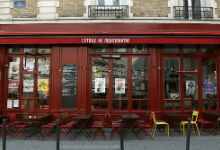 In the center of Paris, in the first district, hides the typical american restaurant Joe Allen. You will enjoy it a modern and delicious American kitchen. We had a real very favorite for the desserts! English is the first language at Joe Allen, even the menu is in english! The atmosphere is there friendly, and the children are welcomed with a smile! There is no child menu or nursery, but high chairs and booster seats are provided to parents.